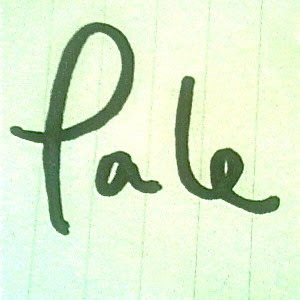 Pale first emerged back in 2012, in mysterious circumstances, before quickly disappearing again. Re-emerging soon after with a new "debut" track but with a slowly peeling veil of anonymity, the duo have bubbled along to mild fanfare since. Their debut EP combines old and new tracks, and title track 'Comeback' is perhaps their best offering yet. 'Comeback' is a sultry, R&B-tinged effort, which doesn't outstay its welcome even with its five-minute-plus running time. The production may not be entirely glistening but the song itself carries a smoothness that we'd certainly like to hear more of from Pale. Listen and download the 'Comeback' EP now for free. Find more info at facebook.com/palemusic .